Francis Hansen & Martin is a full service law firm specializing in business and real estate transactions and general commercial litigation. For more than 30 years, we have provided exceptional services to businesses and individuals throughout Central Oregon. Our civil attorneys are here to offer their expertise and assist you with every stage in the development of your business. Our trial and litigation attorneys are here to help you resolve high-stake business and real estate disputes. Civil Lawsuits The seasoned, civil litigation attorneys at Francis Hansen & Martin LLP have the skills, ability and experience to aggressively advocate on your behalf in civil lawsuits and to take a case from its beginning to an efficient and favorable resolution. Having an experienced trial lawyer at your side can be an enormous advantage in any dispute. Our attorneys provide advice on each step in the evolution of a business, from the choice of entity on formation, through acquisitions and growth, to sale or dissolution. Our attorneys look for the most strategic and tax-advantageous structure for your business transactions, including capital changes through debt or equity issuances, recapitalizations and redemptions, financing alternatives, ownership transition of family-owned businesses, leasing, licensing, and day-to-day business operations. Reed College , B.A. 1992. University of California , Hastings College of the Law, J.D., 2000. Michael McGean graduated from the University of California , Hastings in San Francisco , California . Mr. McGean returned to Oregon in 2001 to practice law as a trial attorney. 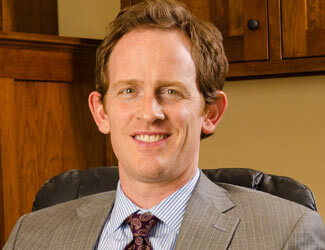 Mr. McGean is a partner in Francis Hansen & Martin's litigation department. His current practice emphasizes business litigation, real estate disputes, administrative law, and land use. Mr. McGean recently served on the Oregon State Bar's Client Security Fund Committee. He is also a past member of the Oregon State Bar's Civil Jury Instruction Committee, the Local Professional Responsibility Committee for Deschutes , Crook, Jefferson and Wheeler Counties, the Oregon Criminal Defense Lawyers Association and the J. R. Campbell American Inns of Court. Mr. McGean has been rated BV Distinguished (4.0 out of 5.0) by Martindale Hubbell law directory for meeting very high criteria for ethical standards and legal ability.